When looking at buying an established business, there are a lot of things to carefully consider and research. The first thing that I normally ask potential buyers is – what they believe they know and understand about the business that they propose to buy. This is quickly followed by-have they worked in that type of business before? These are important considerations as in many instances people are looking for a tree change. The reasons vary – they could be wanting to get out of the corporate sector and find the idea and romance of running a B&B enticing or they may have received a redundancy pay out and simply want to buy themselves a job. The advantage of buying an established business as opposed to starting one from the ground up is that someone else has done the initial heavy lifting and investment. A good established business with proper history and financials helps to mitigate risk and could potentially make it a little easier to finance. Having said that there are a lot of things you will need to check to make sure that you are buying a healthy business. It is a bit like buying a second hand car if you aren’t mechanically minded. What seemed like a good buy initially could end up being a huge liability resulting in a major loss. 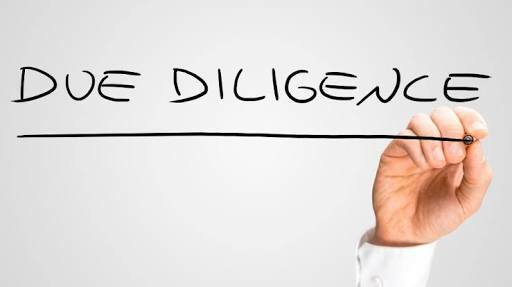 There can be a lot of disadvantages in buying an existing business without proper due diligence being done. It may have inherited problems from previous owners, or have a bad public image, the rent may be far too high for the business or it may need a major upgrade in plant equipment. These things must be thoroughly investigated prior to any decision to buy. Why are the current vendors selling? Always keep in mind a desperate vendor losing money will concoct any story to make you believe their story. In my many years as a broker I have seen and heard it all. So, always get a second opinion from an independent professional who knows their stuff. • How long is remaining on the lease. The longer the lease generally the better. • Does the business require equipment upgrades or refurbishment? • Is a similar business opening up nearby that could affect the current takings? One of the key determinants of a business’ worth is business financial statements. An established business should have proper financials. Make sure there is at least the last 3 years of financials available with lodged tax returns. Make sure the sales are properly recorded and disregard anything that isn’t recorded. When a vendor claims that a component of the takings aren’t on the books because they are cash takings be wary. Of course there are still some businesses that only deal in cash like some coin laundrettes, car washes and nail salons. Even so buying a business in these niches is very risky unless you have the experience to be able to properly assess it. Things to look out for are employees who are not on the books or owners who work in the business and are not drawing a salary to help boost the net profit for sale purposes. Should you buy a franchise or independent brand? Again there are advantages and disadvantages equally with both options. Of late, franchises are not as a good business investment as they used to be. A lot of franchise chains are mostly owned by conglomerates and private equity firms who are more interested in their own profits and bottom lines rather than their franchisee. A recent negative example is RFG who hold major brand franchises including Donut King, Gloria Jeans, Michel’s Patisserie, Brumbys, Crust and Pizza Capers. The stories circulating about franchisee experiences are horrifying. Franchising traditionally in the past has been a good option, as generally the franchisors were passionate founders who understood that happy and successful franchisees were an integral part of their business growing. They would offer support training and advice that was mutually beneficial. Selecting a good franchise model is very important. One of the best ways to do this is to talk to a few franchisees and ask them if they are happy and would they recommend their franchise to others. Buying a non-franchised business has many advantages too! You have the real freedom to be your own boss, not having to conform to set rules of what you can or can’t sell or where you can and can’t buy from.